There are plenty of posh pet friendly hotels in Key West that will keep you and your pet feeling warm and fuzzy. 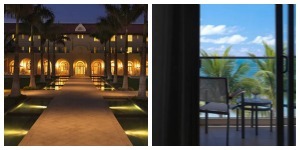 Book a private beachfront room at the Reach Resort Waldorf Astoria nestled in Key West’s Old Town. This upscale hotel offers deluxe rooms decorated in Caribbean colors and private balconies. The Casa Marina Beach & Resort Club is another historic upmarket hotel with a private beach, three restaurants and massage services. Other amenities include and iPod docking station and a flat-screen TV. Two pets up to 25 pounds are allowed. Cozy up with your pet at the Westin Key West Resort & Marina. 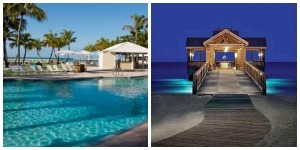 The Westin Key West Resort & Marina is just steps from the talcum-powdered beaches and has a large, outdoor heated pool. You’ll feel pampered with plush down duvets and custom-designed bedding. There is also a waterfront promenade dotted with charming cafes and boutiques. Pets up to 40 pounds are allowed to stay and are treated with water bowls, food bowls and soft pet beds. All these pet friendly hotels in Key West may be found at Vacation Pet Friendly, we have the largest selection online. In addition to the pet friendly hotels in Key West, there are a wide array of pet-friendly restaurants. There is no need to leave your furry friend at the hotel when you want to grab a bite to eat. If you’re in the mood for some authentic Mexican fare, head on over to the Salsa Loca or Santiago’s Bodega. These Mexican restaurants serve up delicious fresh-baked pitas and fabulous tapas. Your pet can dine with you in the tropical outdoor patios. At the Afterdeck Bar at Louie’s Backyard, you can indulge in some great Caribbean-American food while enjoying stunning views of the ocean with your pet. The Opera Italian restaurant serves up some great comfy Italian food like homemade pastas. Pets are even treated to some scrumptious potatoes and meat servings. Check out our Key West Travel Guide to find out more about these pet friendly restaurants, as well as pet friendly parks, beaches, activities, tours and more. All in all, Key West is a pet-friendly city that provides everything you could need or want for you and your loyal companion to have a great time.